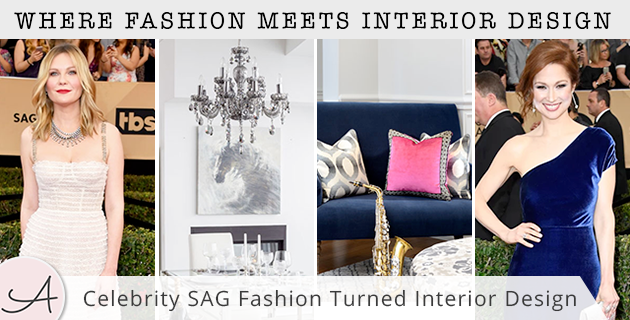 Fashion meets interior design in so many ways, from seeing the COTY play out on the runways as well as in design show houses, to the same textiles and patterns adorning our clothes and homes. So, as someone who follows trends in both the fashion and design world, I couldn’t help but see the uncanny similarities between some of my favorite designers and favorite actress’ apparel at the 2017 SAG awards. Here are some of my top looks for both the Red Carpet and the home! Kirsten Dunst & Viola Davis both rocked all-white attire paired with some showstopping jewels. An empowering color palette that draws attention, bold, crisp whites and luminous accessories are no stranger to fancy events or luxurious homes. 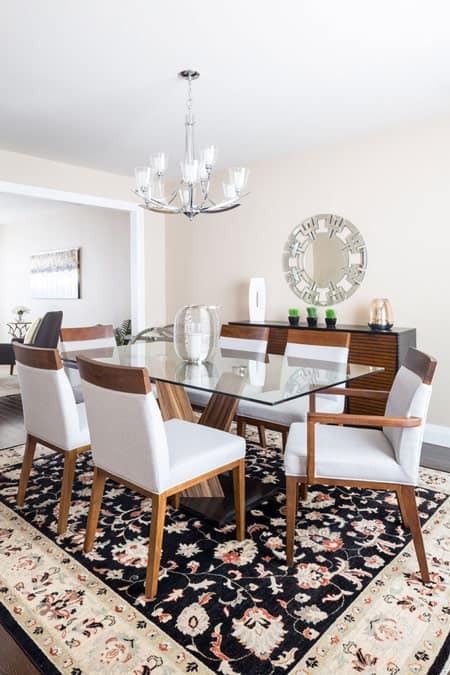 In fact, when paired with the right silhouettes, such as in both the dresses and the clean-lined furnishings, white doesn’t seem so “colorless” - making it a top pick for celebrities and top designers alike. Although an all-white color palette might get more recognition for minimal Scandinavian designs, when adding the right amount of glitz, as Nicola Interiors has done, it takes the design to a whole new level and creates a wonderful opportunity for glamorous, eye-catching accents. People everywhere can’t seem to get over how beautiful Emma Stone and Claire Foy’s floral dresses were. A classic, feminine print given a sultry darkness is a stellar look in both fashion and interiors, especially when accentuated by subtle features, such as minimal makeup and understated furnishings. Unlike lighter, pastel colored florals, darker prints often give a much more sophisticated vibe; it’s the perfect combination of flirty and smart, or feminine and strong. Nicola Interiors exhibits how to perfectly use such florals to add some edge and color while balancing out the large prints using sleek whites, organic woods, and clean lines. Ellie Kemper and Evan Rachel Wood looked amazing in their sapphire velvet ensembles! This striking color never fails to receive the recognition it deserves, working beautifully on its own or with colors from across the spectrum - from black to fuchsia! While a powerful choice, blue is still a cool color, emanating a calm and collected look, while the use of velvet promotes an unbeatable luxuriousness to this blue jewel-tone. Velvet is no newcomer to fashion or design, and as I’ve written about recently, also looks amazing in Greenery (among many other colors). 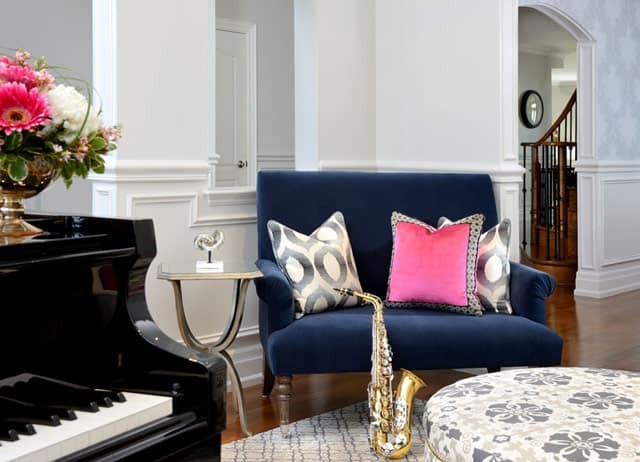 However, Lumar Interiors couldn’t have chosen a perfect color and fabric combination to use in this music room. There’s just something about a deep blue velvet and a saxophone that feels so right! Now, I love mosaic tiling. Mosaics can add such a unique detail to a design - a creative and artistic element that is basically limitless in its aesthetic capabilities. While Emily Blunt’s dress reminds me more of a Moroccan mosaic and Gina Rodriguez’s dress more of a modern, metallic mosaic, both got me equally excited! Mosaic tiles, which are most often created with glass or stone, have been cropping up everywhere, and we should all be very thankful for it! 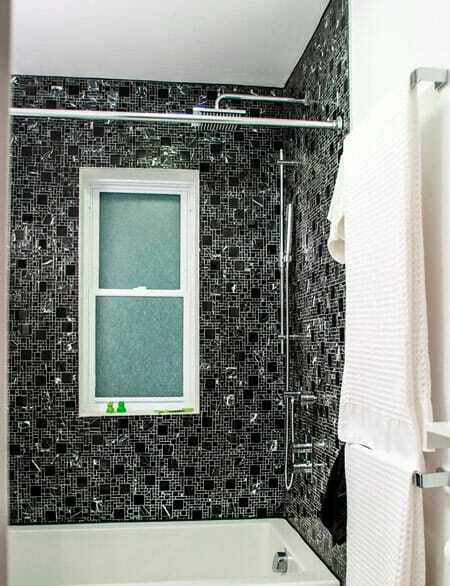 Floors, backsplashes, and walls have all been beautified and brought to life by the small, flat tiled patterns that reflect light and add a one-of-a-kind sparkle to a room, such as in this edgy Moneca Kaiser Design Build bathroom! It’s no surprise that metallics are in this year. From metallic home decor to metallic backsplashes, everyone seems to be opting for a glamorous metallic touch in their home - which is why I loved seeing this brave and bold color on the SAG red carpet. Michelle Williams and Taraji P Henson effortlessly glistened in their metallic gowns, showcasing their adoration for the strong silver and ensuring a jaw-dropping entrance. 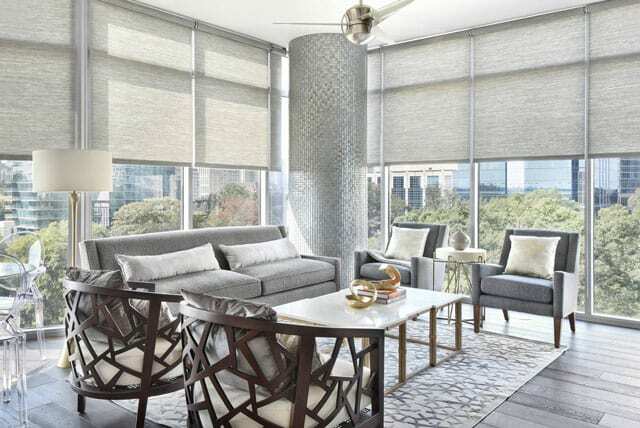 VRA Interiors created a similar experience with this Atlanta condo. As you walk into this open-concept home, the radiant metallic-tiled pillar grasps one’s attention instantly. 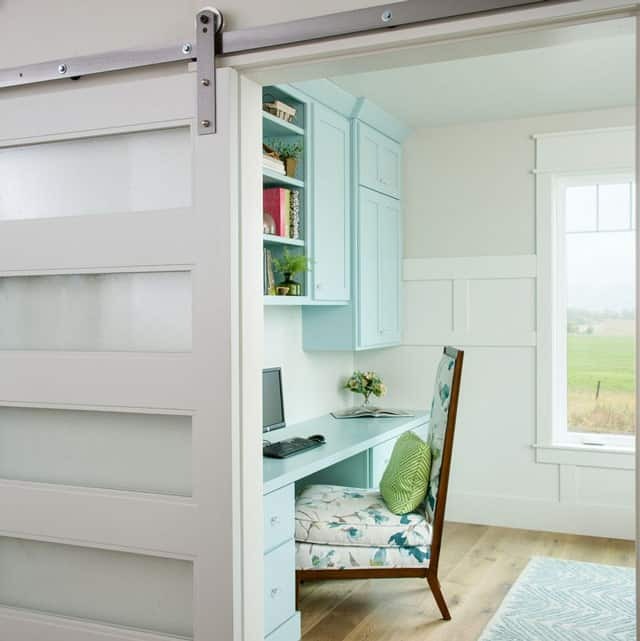 A grandiose look can be achieved just by one simple metallic addition, leaving the rest of the interior to follow a comfortable, contemporary design. 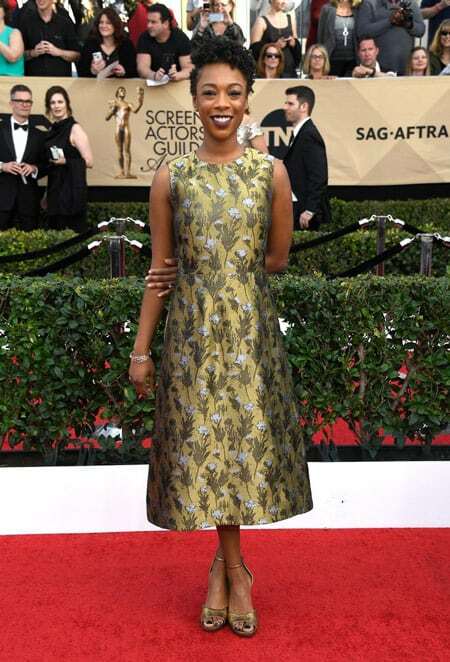 Rashida Jones And Samira Wiley showed off a soft side with their lady-like French-inspired florals. A look that never fails to flatter, this romantic pattern has always held a place in our wardrobes as well as our home textiles, making it a timeless staple we continue to love. Although a strong pattern, the versatility becomes apparent when you see it works with virtually any color scheme, making the unforgiving visual beauty a perfect statement textile, just as Tawna Allred exhibits in her picturesque Wyoming design! When working with French country florals, a “less is more” attitude can be really helpful in getting the look right. As you see Rashida and Samira’s dresses are fairly conservative, not showing too much skin, and not embellished with large jewelry. This is also what makes Tawna’s design so visually pleasing, the floral upholstering does the talking while the remaining furnishings are simple and complementary. I love how interconnected the fashion and design industries are, often showcasing a similar foundation and style to the looks! Whether you love watching style trends on celebrities or on Houzz, I suggest keeping an eye out and seeing what parallels you find! Tell me what your favorite fashion-design look was in the comment section below!